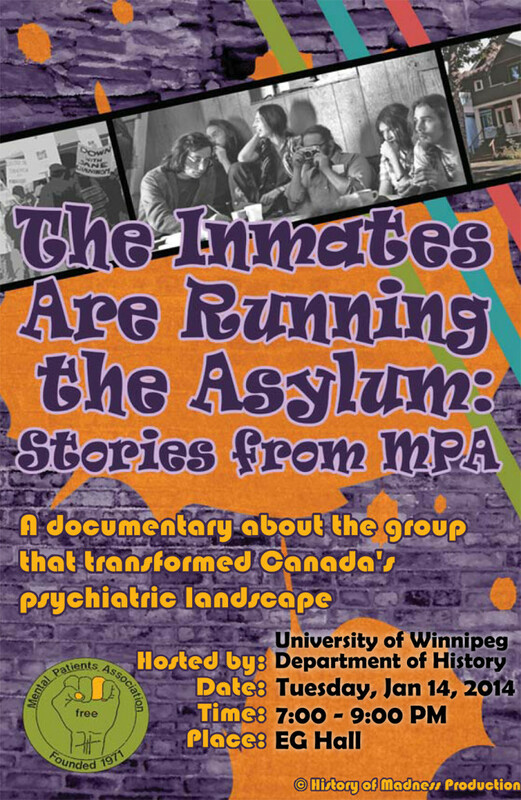 Vancouver’s MPA (Mental Patients Association) was formed in 1970-71 as a grassroots response to deinstitionalization and tragic gaps in community mental health. Inverting traditional mental health hierarchies, the group put former patients and sympathetic lay supporters in charge. MPA provided homes, work and a sense of belonging and self-determination to ex-patients. Working collaboratively with academic scholars and talented young artists and film-makers, a group of early MPA members created this 36-minute documentary. Provocative, passionate and engaging, our film has something important to say about social justice, community-building and mental health today.